Use the Uber app, place a call, or play Angry Birds from your new Dell PC. Dell Mobile Connect allows your PC to mirror your Android phone or iPhone. 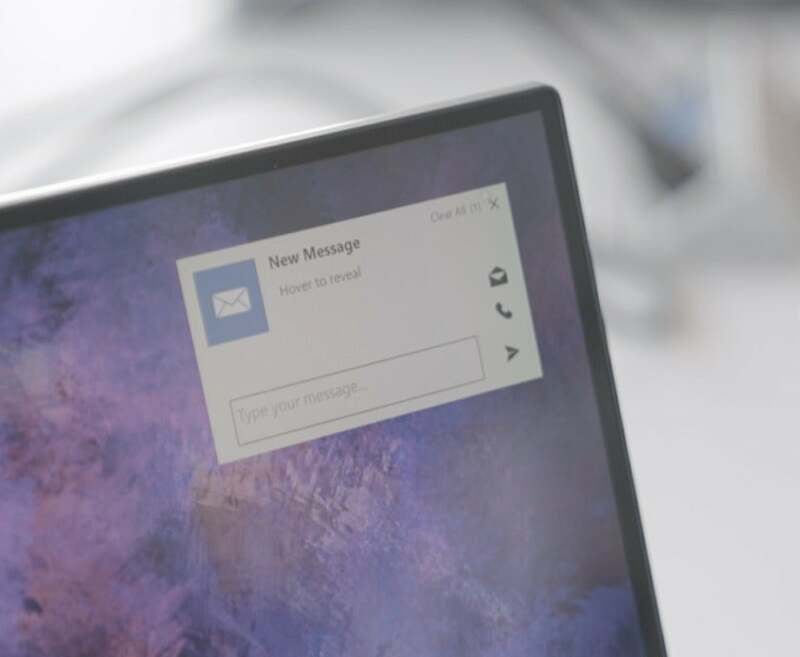 The Dell Mobile Connect app doesn’t try to replace your PC with a phone, as Microsoft’s Continuum or Samsung’s DeX have tried to do. Instead, this nifty, free technology, unveiled Tuesday at CES, mirrors your Android or iOS phone on your PC, without any extra hardware. The premise is simple: By establishing a wireless connection between an Android phone or iPhone and your Windows PC, you can leave your phone in your pocket. The technology allows you to play Android games on your PC, or simply use the phone to place calls or send texts. Consider it a bonus for buying a Dell PC: After Jan. 18, every new Dell XPS, Inspiron, or Vostro notebook will include the free Dell Mobile Connect app. It’s a first of a sort for Dell, which built its business on quickly-assembled, quickly-shipped PCs that used the latest Intel hardware. Over the past decade or so, though, Dell’s enterprise business began adopting services to make its hardware more appealing to customers. 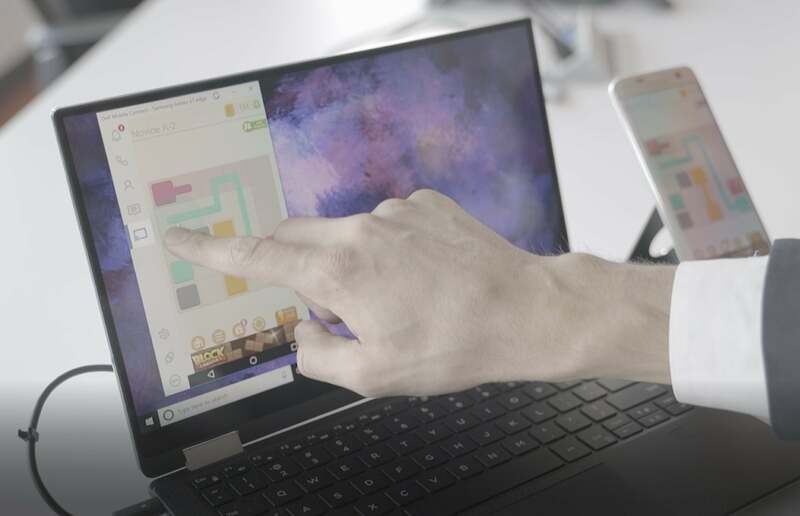 Now, Dell is offering what it calls “the first ever complete integration between smartphones and PCs,” according to Oren Inditzky, director of product management of Dell’s Software Innovation group. 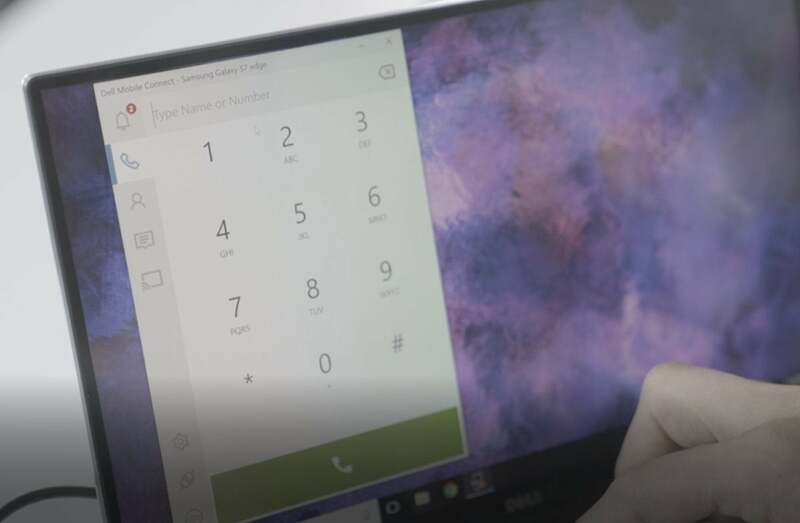 Dell Mobile Connect can tap into your phone’s dialer. Essentially, the Dell Mobile Connect app allows your PC to do everything your phone can do, Inditzky said, including such specialized tasks as using an Android Uber app to find the nearest location of a car, or simply playing a round or two of Angry Birds. From a productivity standpoint, Dell Mobile Connect can bring up your phone’s dialer and place calls, or send texts. You don’t have to use Windows’ People app to do so; instead, you can simply access your phone’s contacts. Even cooler, placing a call is done via your PC, using your PC’s speakers and built-in mic. The kicker is what Inditzky calls a proprietary wireless connection between an Android smartphone and the PC. The app uses both: Bluetooth for command and control, and Wi-Fi to transmit the bulk of the data. More importantly, the direct connection between your phone and your PC means that you won’t have to risk using a public Wi-Fi connection to transmit information. You’ll need to hover over a Dell Mobile Connect notification to reveal its contents, for privacy’s sake. Dell Mobile Connect also serves as a gateway of sorts to pass notifications from your phone to your PC. Once your phone receives a notification, Dell Mobile Connect will pass it along—but won’t show the entire message. According to Inditzky, you’ll have to hover over the notification with your mouse to see the full notification, preserving your privacy in public places. Of course, Dell Mobile Connect offers the ability to mirror your phone’s screen, so that you can play games or access apps. In a demonstration, it seemed to work flawlessly, though there was a small bit of lag. There’s one catch, though, for iPhone users: Apple app policies don’t allow the apps to be mirrored on a PC, so only the basic functionality—calling and texts—will work with iPhones, Inditzky explained. And, of course, you can play games. Most importantly, Dell’s technology doesn’t require any extra hardware. Both Microsoft’s Continuum—now essentially defunct, with the demise of Windows Mobile—and Samsung’s DeX require extra hardware, adding cost to the equation. Both solutions argued, though, that the phone should be your primary means of interacting with the world, and that PC-like functions could be handled by the phone. Dell, a PC maker, thinks differently.